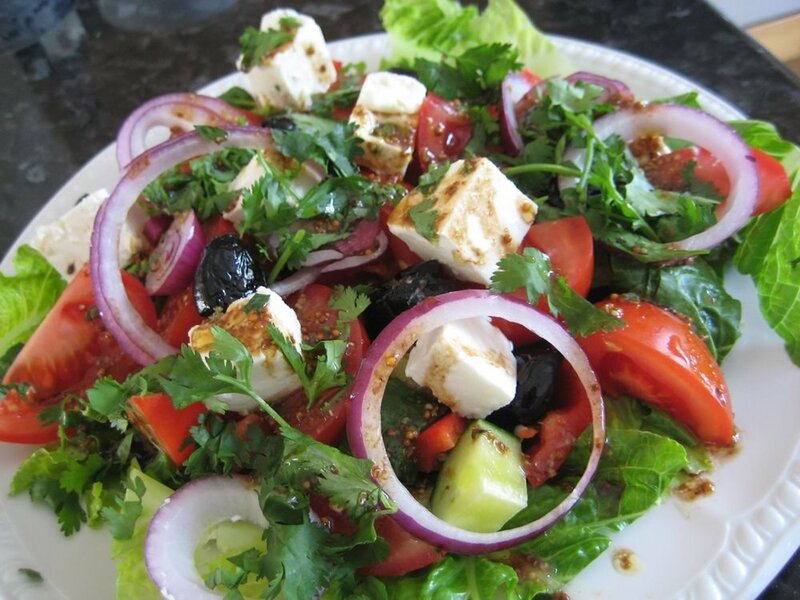 This is my version of a simple Greek Salad. Perfect as a side dish for any meal. Sprinkle cubes of feta and the olives and coriander on top. To make the dressing simply mix all the ingredients together and pour over salad…easy peasy!